Hemp growers in the region hope a recent change in federal law means they can finally profit from a plant that had been in legal limbo. Click to listen to Liam's story. Flight has wanted to shoot a regional television commercial for his hemp business since 2014, when he was one of the first nine people in West Virginia's pilot hemp program. 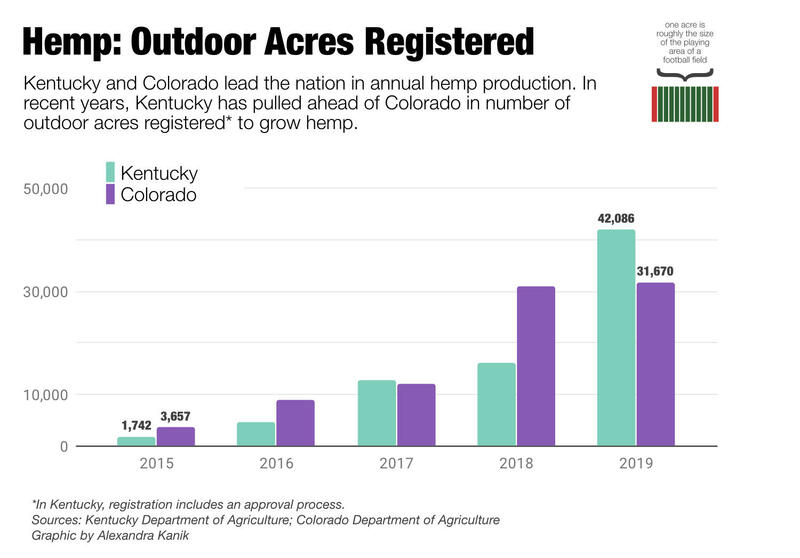 Along with retail stores like Flight's, state data show Ohio Valley interest in growing hemp has shot up dramatically. 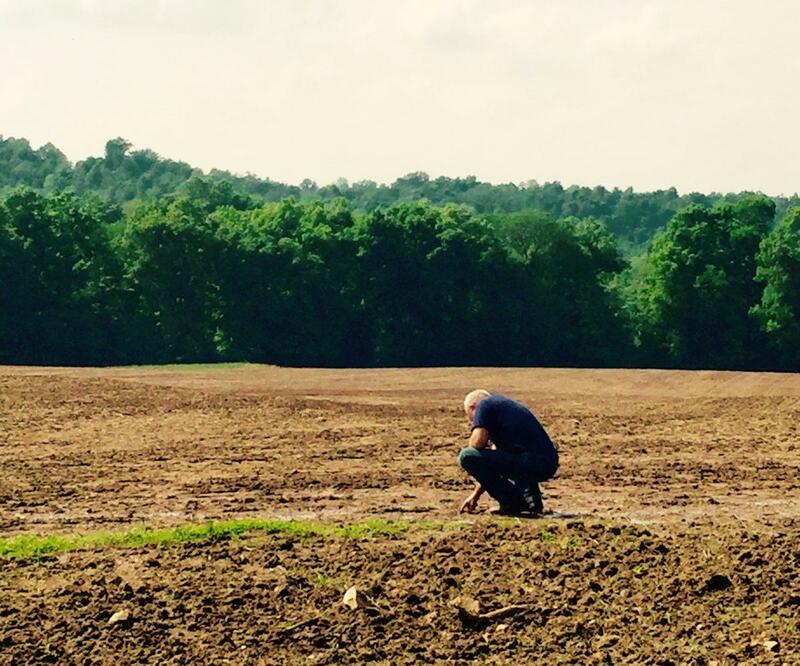 At least one eastern Kentucky farmer sees that potential as a way to revitalize Appalachia's economy. This story is from the Ohio Valley ReSource, a journalism partnership that aims to rethink how we use our resources in a shifting economy. With support from the Corporation for Public Broadcasting, seven public media outlets in Kentucky, Ohio and West Virginia — led by Louisville Public Media — formed the ReSource to strengthen coverage of the area’s economic transition and the social changes that come with it. Read more here. 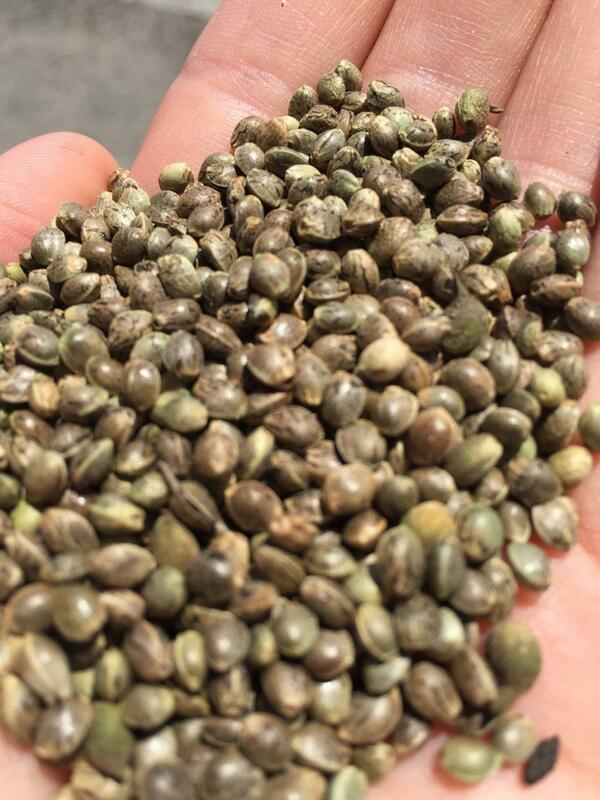 Hear Nicole's story about the future of hemp in Kentucky. Farmers throughout the Ohio Valley want to revive a crop that was once a staple in the region: hemp. After a ban that lasted more than half a century, the 2014 Farm Bill allowed states to grow hemp in research programs. Growers and processors in Kentucky are aggressively putting that research program to work in hopes of winning a share of the booming market for hemp products. Hemp cooking oil, nutritional supplements, and more line the back wall of a supermarket in Lexington where cashier Emily King rang up a customer’s purchase. 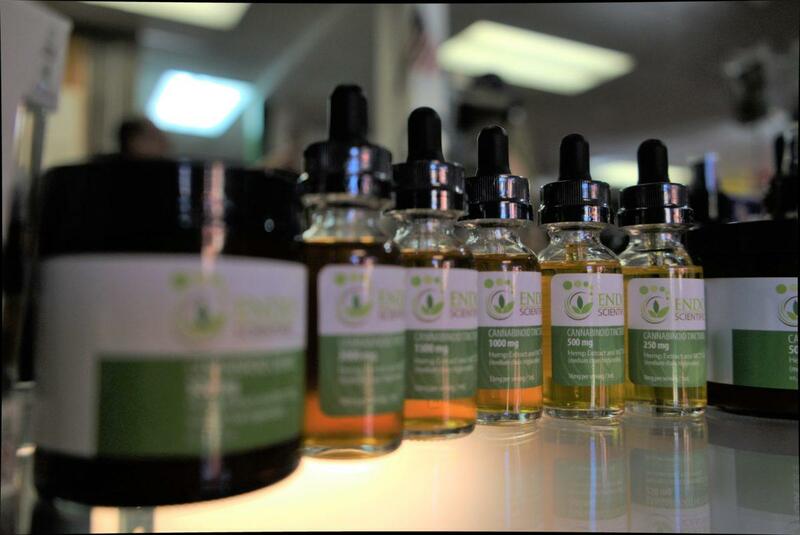 “Tons of people buy hemp oil,” King said. “We have hemp hearts and other products. 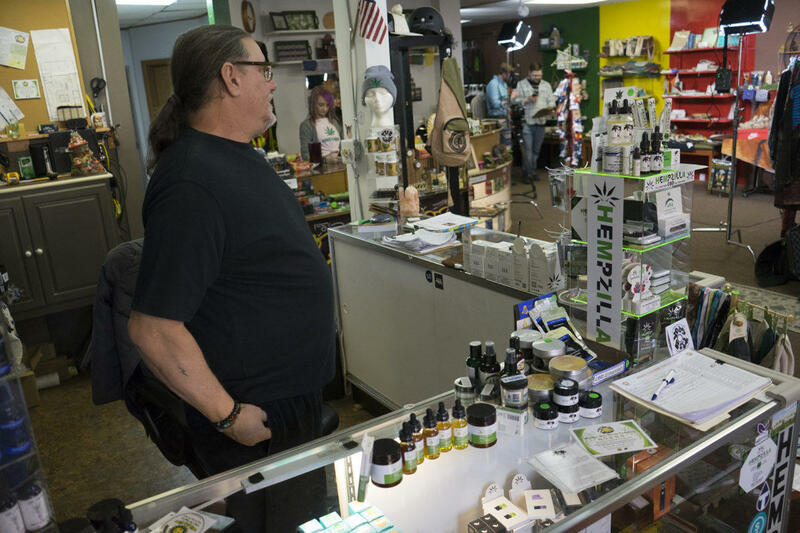 We’ve definitely seen an increase in hemp product sales.” The store recently wrapped up its first “hemp week” promotion. Kentucky Agriculture Commissioner Ryan Quarles immediately applied for federal approval of Kentucky’s hemp program after the 2018 farm bill was signed into law Thursday afternoon, effectively legalizing the crop. The farm bill removes hemp from the federal list of controlled substances, allowing farmers to grow the plant and apply for crop insurance. Quarles issued a statement saying that he hoped the regulations would be approved swiftly. The U.S. Senate Agriculture Committee has passed it’s version of the Farm Bill with Majority Leader Mitch McConnell’s provisions to remove hemp from a list of Schedule 1 controlled substances. McConnell’s Hemp Farming Act of 2018 legalizes the growing of hemp and also allows hemp cultivators to receive federal crop insurance. 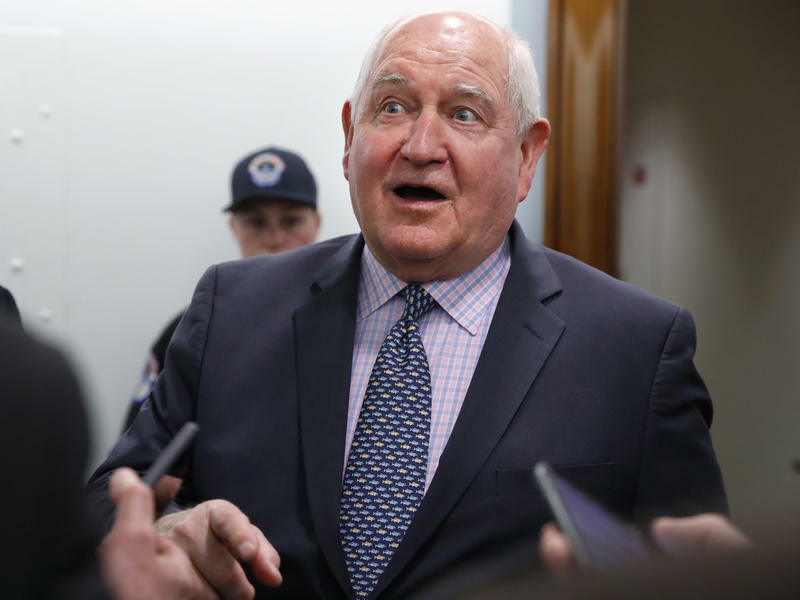 Lawmakers made amendments during Wednesday's Agriculture Committee meeting and passed the revised version of the bill with only one dissenting vote from Republican Senator Chuck Grassley of Iowa. Senate Majority Leader Mitch McConnell said he wants to revive hemp as a major agricultural product in the U.S. and plans to file a bill to remove hemp from the federal list of controlled substances. It’s currently illegal to grow hemp without a permit because it’s a member of the same species as cannabis. But, hemp has a negligible amount of the high-inducing compound THC. McConnell told a room full of hemp promoters in Frankfort on Monday that he thinks the country is ready to legalize the plant. Hemp farmers and processors in Murray presented progress and problems in growing the crop to U.S. Senator Rand Paul on Thursday. Paul is in the region as part of a tour discussing healthcare options and made a stop in Murray to talk hemp ahead of visits to other communities. Afterwords, he also commented on North Korea and health care reform options. Joseph Kelly operates West Kentucky Hemp LLC. and works with Kentucky 21st Century Agri. He led much of the presentation, briefing Paul on some of their processes and procedures, ambitions and challenges. Kelly and others involved in hemp described its various uses: leaves (producing CBD), floor material (buds) for extracting oil, seeds (as grain and pressed for oil) and other uses involving the fiber.